Leave a Comment on Living Room Becoming Lifeless? Get Your Artistic Cap On! Light plays a very important role in your living room. This is why a living room should be full of windows. But there is one more thing that actually makes your living room worth being lived and laughed in. Colours immediately attract attention. They fill a room with lots of good vibes and when you blend in some good vibes with vibrant colours in your living room, you are bound to spend more time in that area than in any other part of your room. To make your living room attractive, you need not have all your upholstery changed. 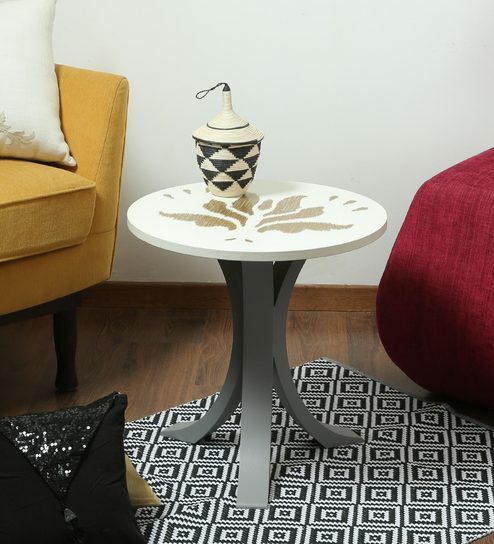 Even if you have a very basic seating arrangement with classic colours like white or brown, you can easily pump up the happy quotient of the room by adding a colourful table to it. 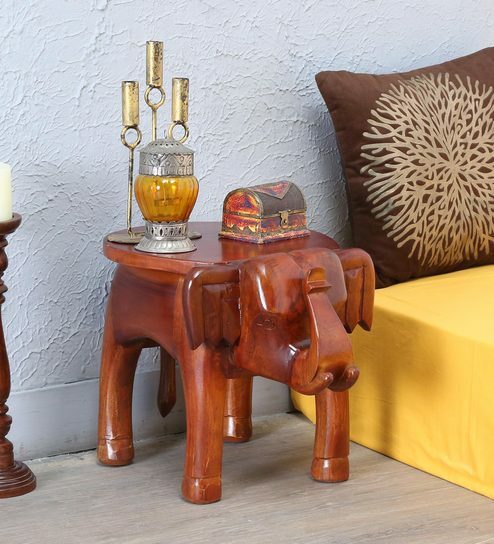 There are a variety of options available, from carved ethnic tables, like the one shown in the image above, to simpler designs coloured in pastels. 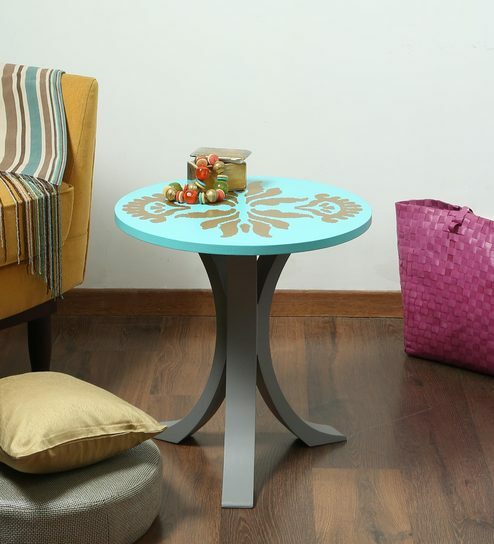 Bringing in a coloured table to your living room will cut sharply through the boredom and add that extra oomph to it. 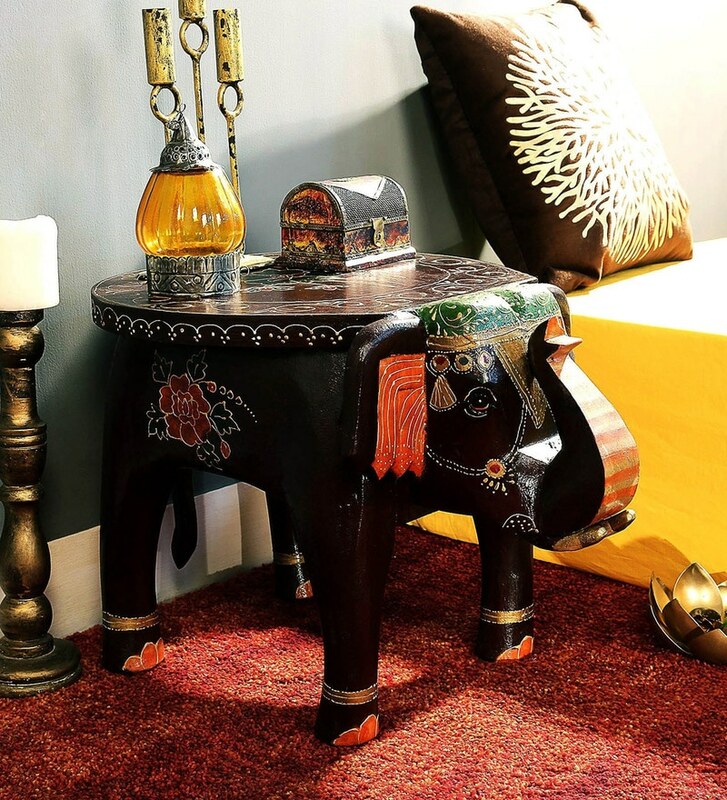 While simply designed tables do the job while staying in the corner, a more complex design, like a horse or a fish carved on the table, might as well be used for decorative purposes other than just keeping stuff over it as a table. It is amazing to see how a simple piece of furniture if thrown into a dull room after colouring, creates a totally different environment altogether. If you are thinking of making your living area more lively, get a beautifully painted table for it or just show your artistic side with some acrylic paint and a paintbrush. Paint it up!